Love it or hate it, the notion of software-defined storage (SDS) will dominate the storage industry narrative in 2015 and beyond. Although it lacks definition, initial evidence suggests that IT decision-makers are starting to buy into SDS as something that can help transform enterprise storage infrastructure. Enterprise storage, so long an afterthought of the IT department, is changing. An unpalatable combination of relentless data growth, capital expense, technological complexity, huge operational overheads and budgetary scrutiny is prompting many enterprises to rethink their entire storage strategy. Although these challenges are not new, the changing software infrastructure higher up the stack is the catalyst for change. Server and desktop virtualisation exposed the rigid nature of many storage system designs, but were merely the appetiser. Now the enterprise wants the IT stack to look – and behave – like a cloud, and storage infrastructure has to catch up once again. This is prompting a fundamental rethink of storage strategy at many organisations, especially when it comes to the deployment of new, cloud-era applications and workloads. The modish term for this transformation, which is being used by storage suppliers new and old, is software-defined storage. While the term itself – as an offshoot of the broader software-defined datacentre (SDDC) – is overused, it reflects some fundamental changes that have taken place in enterprise storage system design for several years. Broadly, software-defined storage is a term that reflects a number of simultaneous and somewhat related trends in storage technology that have been building over recent years. First is the shift in storage system design away from utilising application specific integrated circuit (ASIC) based designs to x86 industry standard processors. Like nearly everyone else, Jon Toigo grappled with the definition of software-defined storage... until he realised there are three. Storage Decisions presenters cut through the 'marketecture' to say what software-defined storage is, and what it isn't. 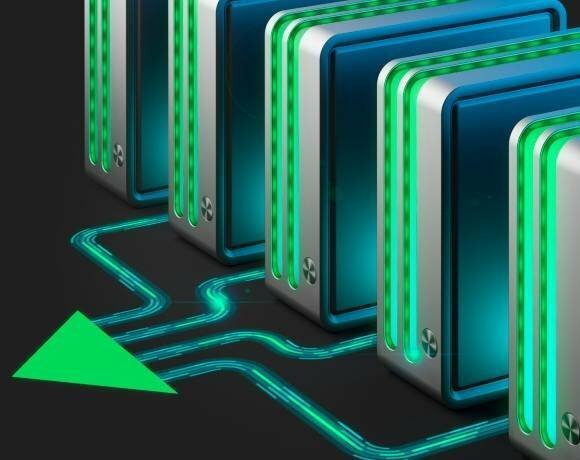 Another is the emerging presence of rich storage software functions that are – or can be – divorced from the underlying hardware, essentially virtualising the underlying storage. This is sometimes described as the separation of the data plane from the control plane, and is designed to enable new levels of control, flexibility and choice. A third trend is the emergence of storage stacks that, to varying degrees, utilise open-source software, often in conjunction with broader open-source platforms, such as OpenStack. SDS is not a single type of product or technology. Rather, it is a pervasive approach that can be applied to a wide number of use cases and technologies. One of the promises of SDS is that it can help consolidate and simplify what is often a highly fragmented storage infrastructure. Just as virtualisation and cloud are a proxy for IT transformation at the server level, we think SDS is primarily a synonym for storage transformation, in terms of efficiency, agility and lowering the overall cost of managing the storage environment. It is true that the lack of a clear and consistent definition was certainly an initial cause for confusion for IT decision-makers. SDS and the notion of the SDDC were initially dismissed as supplier hype and marketing speak. Although some scepticism persists among IT decision-makers around SDDC in general, understanding is growing to the extent that more are starting to incorporate it more strategically into their plans. 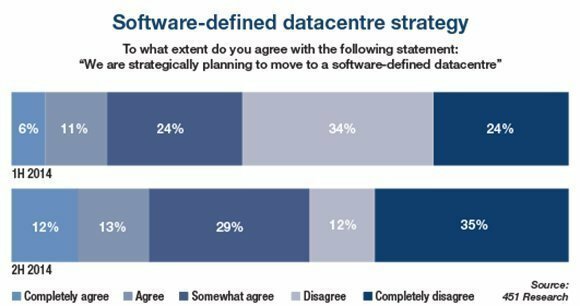 In 2014, we saw a marked rise in the number of organisations that agreed with the statement “We are strategically planning to move to an SDDC” (see chart). This suggests that, although IT decision-makers may not have a crystal clear idea of what SDDC involves specifically, the notion seems increasingly appealing. The notion that storage somehow “has to change”, and not just at the margins but in some fundamental ways, is one core narrative that will dictate the storage industry’s agenda over the coming year. There are multiple threads to this, but we think the continued emergence of a number of disruptive technologies and approaches – principally SDS, but also flash, convergence and cloud – offers IT organisations a number of valid strategies around storage transformation. Overall, customer understanding and awareness of the value – and limitations – of SDS offerings will accelerate in 2015, and while overall deployments will remain largely confined to non-critical applications, SDS will continue to develop and mature along multiple trajectories, creating opportunities for innovative players. My next column will look at where we expect SDS to resonate the most over the coming months.